The Hulk Wrecks Mount Rushmore! This wednesday I’ll be running to the comic book shop to catch up on some missed titles as I haven’t been religiously going there weekly for quite sometime. This of course has been a huge bummer and as many Americans are feeling the effects of a very poor economy I have also accepted the fact that I can’t really afford to blow a ton of money every week on a stack of comics like I used to. At some point I am sure things will be back to normal, but in the meantime I am being pretty selective with what I have been picking up. Many times missing out on storylines I have started. 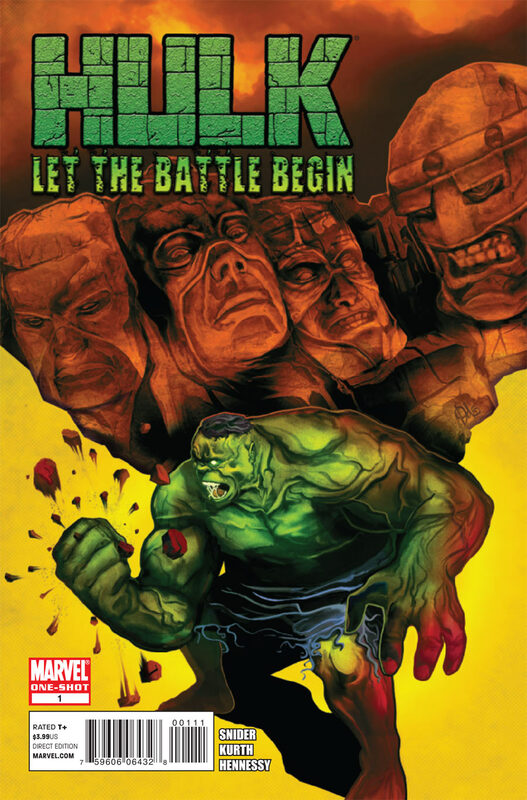 Well as you may know I’m a big Incredible Hulk fanatic and as I have been pretty into the “Fall of the Hulks” storyline I ended up missing a few key issues leaving me thinking to just wait for the trade paperback. However I am pretty pumped about the Incredible Hulk one shot coming out this week, Hulk : Let The Battle Begin, which pits ol jade jaws up against one of my all time favorite supervillain teams of all time-The Wrecking Crew!